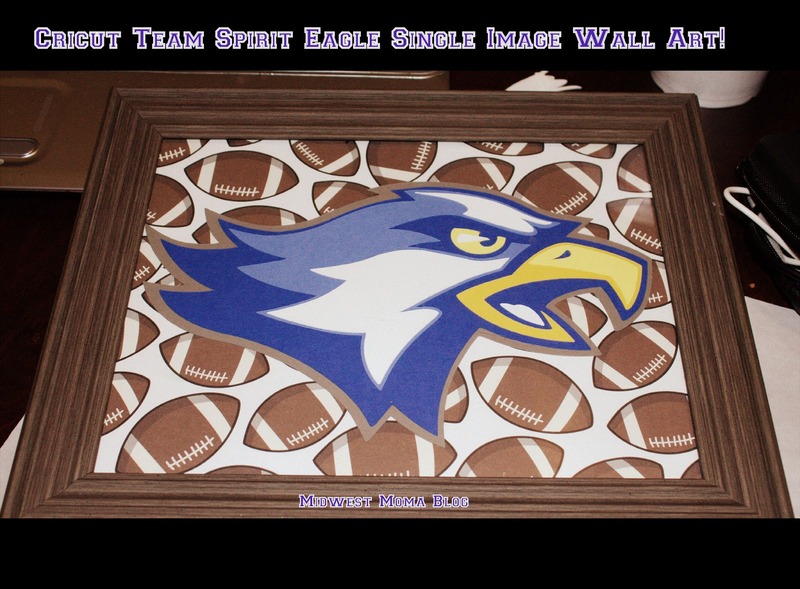 Midwest Moma Blog: Cricut Step-by-Step to Cutting a Individual Digital Download with Team Spirit Eagle! Cricut Step-by-Step to Cutting a Individual Digital Download with Team Spirit Eagle! I love my Eagles! My little brother played for them and now my three sons do! 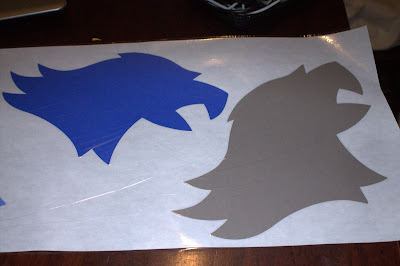 I can't explain the excitement level when I found a Cricut cut of an Eagle Head that is almost identical to our mascot head! Here is my first project with my first individual Craftroom purchase (not as easy as it looks). Most of this post is going to talk about how to separate the layers of an individual cut purchase. Step One: Change the Machine on the Left Hand Corner of the CraftRoom Workplace. This can be done clicking on the Green Tab that says Machine. You want to change it to Imagine. This is because it will change the layers to color and you will be able to see the layers and which cuts will be made together. Step Two: Find the little Green "Button" at the bottom of the image that says "Edit Group" and click it. In the top right hand corner of the work place you will see two Brown and White buttons that say "Separate" and "Combine." Click "Separate." Step Three: Move all layers that you do not wish to cut at this time to the right hand side off of the cutting board. Place the layer you do want to cut in the proper place on the cutting board. Step Four: Change the Machine on the left hand side back to the machine you will be using to cut the image. Step Five: Cut as normal. You will be prompted that you have cuts not on placed properly on the board and that they will be skipped. Click ok, this is referring to the cuts you moved off the board! Repeat Steps Three through Five until all of your layers have been cut! 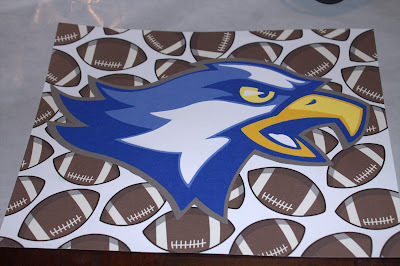 Here is how I assembled my Team Spirit-Eagle!! Did I mention that I love the Eagles? 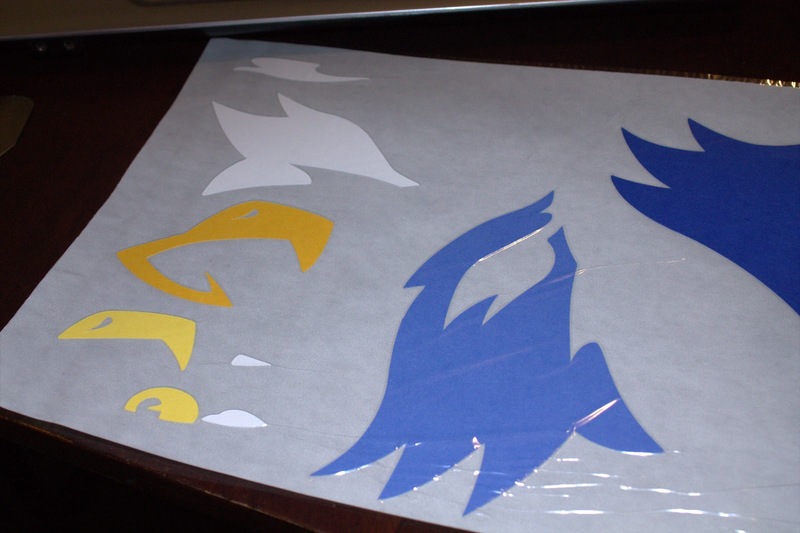 After my cuts were all made, I ran them through the sticker maker. 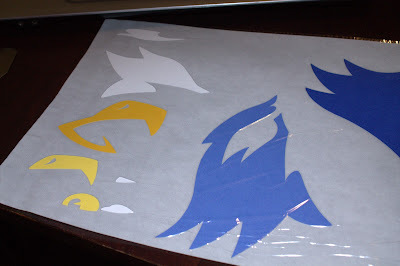 I find using the sticker back much easier to apply layers to each other than glue. I can be more accurate and the mess is highly reduced! Then I put them together...man, this guy looks awesome!!! 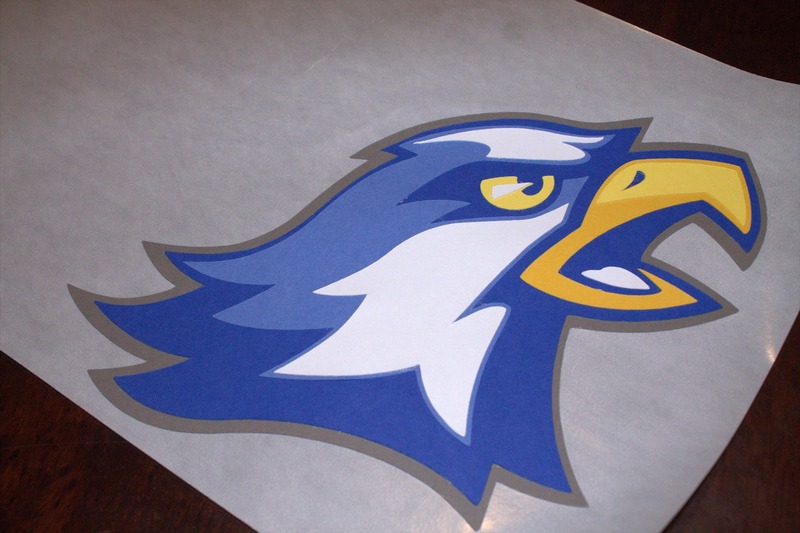 I love my cutter and my xyron, your eagle came out fantastic! Thank you! These machines are the best! I got mine for Christmas two years back and the things I can do with it have been endless! Nice blog. Thanks for sharing that looks awesome. Nice blog! You have described in a nice way. The Final Day of Teacher Appreciation!